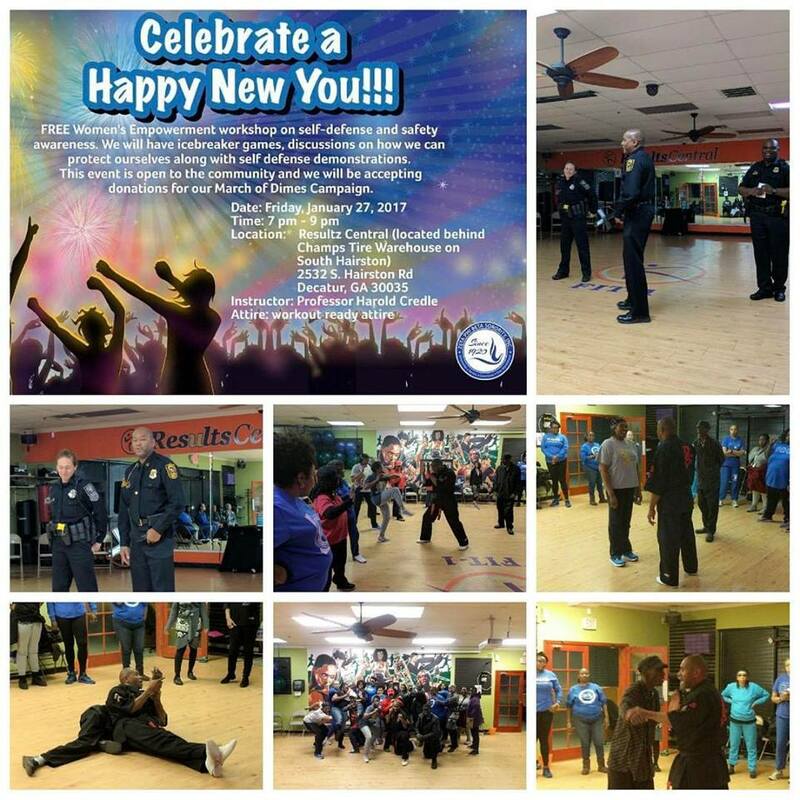 On January 27th, 2017 Sigma Mu Zeta partnered with Results Central (a local fitness center) in Decatur to present our 2nd annual “Happy New You” Women’s Empowerment program. This year’s event theme, “Self Z Defense”, was chosen to bring awareness to safety and self-protection for women. The program was designed specifically in response to the increasing number of attacks and carjacking’s at gas stations and malls in and around the Atlanta area. Our very own DeKalb South Precinct Captain Bentley, along with two other officers, held a workshop giving county statistics on robberies in our area and the alarming amount involve women. The Officers left us with a "Personal Safety and You" informational pamphlet and giveaways from DeKalb County Police department. Some of the important points from their discussion were; knowing your neighbor and CSI – being a good witness. Attendees also had an opportunity to participate in a Martial Arts class with Professor Credle, an instructor at Results Central. The class demonstrated various techniques to protect yourself when being attacked from different directions and how to escape from a choke hold. The class was fun and informative.